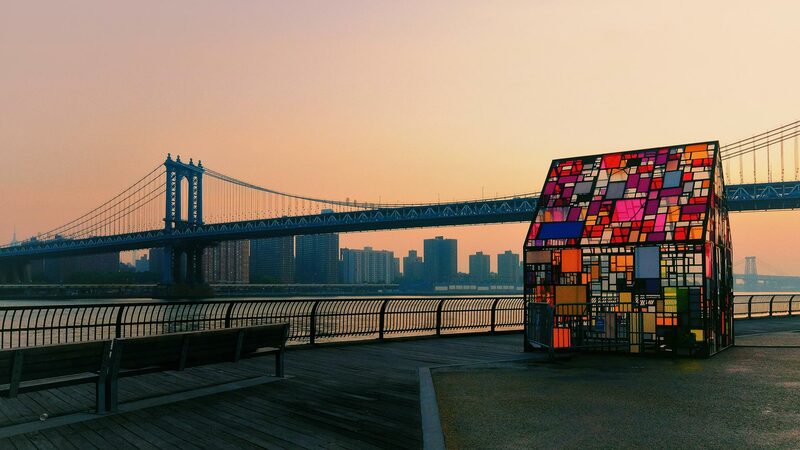 ‘Kolonihavehus, 2010’ is a colourful sculpture currently on show at Brooklyn Bridge Park in New York City, following a tour of Europe. 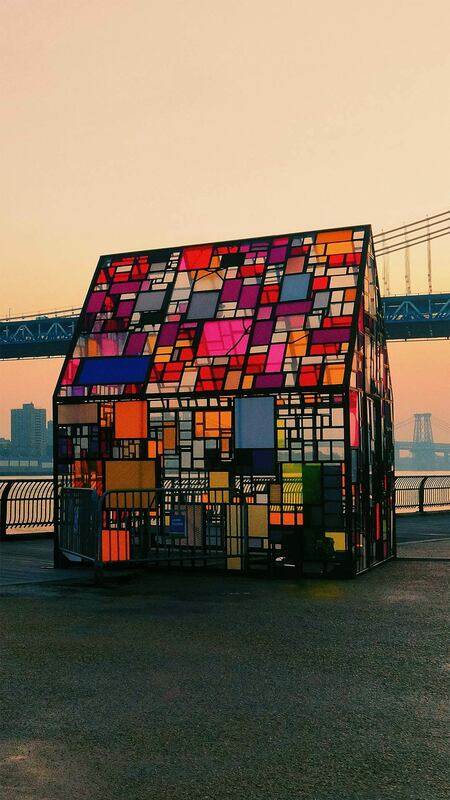 The piece is made of scrap Plexiglas and steel that artist Tom Fruin salvaged locally. The park’s 85 acres reclaimed and revitalised a stretch of Brooklyn’s East River bank, providing space for public art like Fruin’s installation, with sweeping views of Manhattan just across the water.